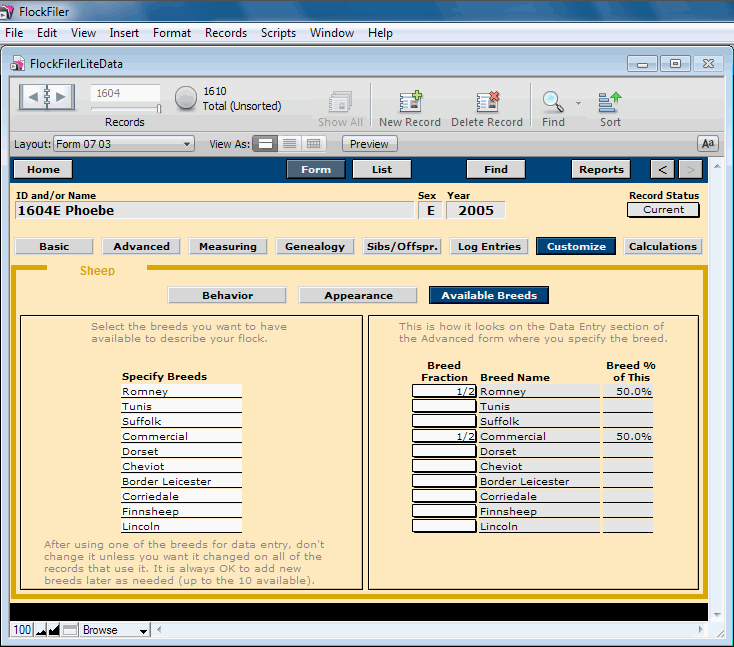 Customize Form – Available Breeds. Your flock can be comprised of up to ten distinct breeds. Specify your breeds here before you enter records needing those breeds.